Outside looking in, originally uploaded by The Bacher Family. 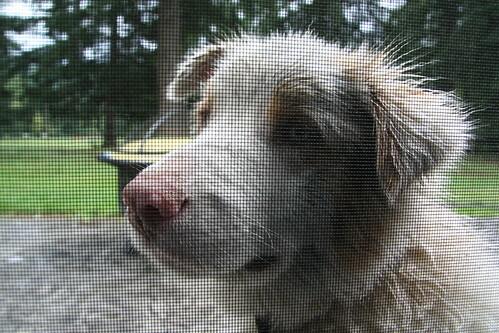 The family dog looks in through the screen door at Kelli's uncle Frank and aunt Linda's anniversary party. I love the way the screen creates an interesting texture in the photo, especially when the dog himself is so full of interesting textures, with fur sticking out all over the place!